Shop online for 98 plastic-soldier plastic models at discounts up to 46%. This is the 1/72 Scale WWII Panzer IV Tank (3) from The Plastic Soldier Company. 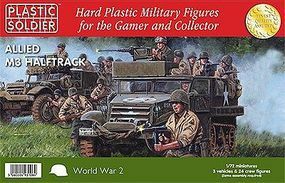 This is the 1/72 Scale WWII Allied M3 Halftrack (3) & Crew (24) from The Plastic Soldier Company. 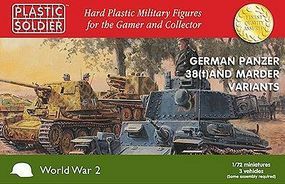 This is the 1/72 Scale WWII German Panzer 38(t) Tank/Marder Variants (3) & Crew (30) Plastic Model Military Kit by Plastic Soldier. This is the 1/72 Scale WWII Allied Stuart M5A1 Tank (3) from The Plastic Soldier Company. This is the 1/72 Scale WWII German Medium Trucks (3) Plastic Model Military Vehicle Kit by Plastic Soldier. 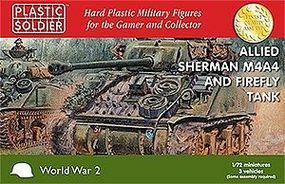 This is the 1/72 Scale WWII Allied Sherman M4A4 & Firefly Tank (3) from The Plastic Soldier Company. 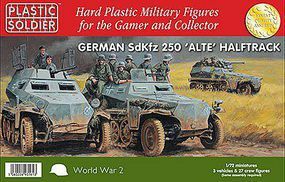 This is the 1/72 Scale WWII German SdKfz 250 Alte Halftrack (3) & Crew (27) Plastic Model Military Kit by Plastic Soldier. 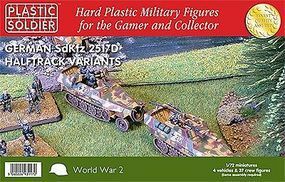 This is the 1/72 Scale WWII German SdKfz 251/D Halftrack (4) & 37 Crew from The Plastic Soldier Company. 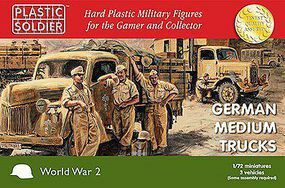 This is the 1/72 Scale WWII German SdKfz 251/D Halftrack (3) & Crew (24) from The Plastic Soldier Company. This is the 1/72 Scale WWII German Panzer III Ausf J/L/M/N (3) Plastic Model Military Kit by Plastic Soldier. 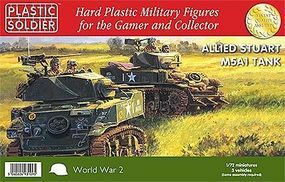 This is the 1/72 Scale WWII Allied M5 Halftrack (3) & Crew (24) from The Plastic Soldier Company. This is the 1/72 Scale WWII US Infantry (57) w/Heavy Weapons from The Plastic Soldier Company. This is the 1/72 Scale WWII Sexton Self Propelled (Early/Late) Gun (3) & Crew from Plastic Soldier. 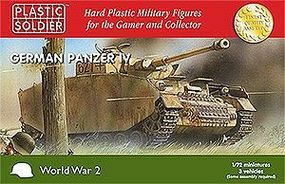 This is the 1/72 Scale WWII German Panzer III G/H Tank (3) from The Plastic Soldier Company. This is the 1/72 Scale WWII German SdKfz 231 Armoured Car (3) from Plastic Soldier. This is the 1/72 Scale WWII StuG III Ausf G w/Assault Gun (3) from The Plastic Soldier Company. This is the 1/72 Scale WWII Allied M3 Stuart I Honey Light Tank (3) (New Tool) from Plastic Soldier. This is the 1/72 Scale Late WWII British Infantry 1944-45 (66) from The Plastic Soldier Company. This is the 1/72 Scale WWII Panther Ausf A Tank w/Zimmerit (2) from The Plastic Soldier Company. This is the 1/72 Scale WWII British 6-Pdr Anti-Tank Gun w/Loyd Carrier Tow (2) & Crew (12) from The Plastic Soldier Company.